There is a vast amount of genealogy research organizations willing to help for FREE or for a nominal or professional fees. The following organizations are either local to Larimer County, Colorado based, or can help on a national level. Larimer County Genealogical Society has volunteer researchers available to help you with your genealogy or family history on Thursday afternoons (except holidays) between 1 to 5 pm either at Loveland Library or Old Town Library in Fort Collins and the first Wednesday of each month at 5:30 pm at the Wellington Library. 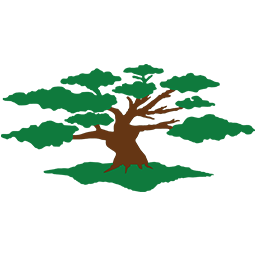 Volunteers can help patrons with their family tree, show how to use Internet databases at the library, and any brickwalls that you may have. Since Larimer County is large, each town has its own newspapers. Articles generally don’t overlap, so requests should specify whether Loveland or Fort Collins research is desired. Estes Park and Berthoud also have separate newspapers. Estes Park or Berthoud requests should be directed to Estes Park Library at reference@estes.lib.co.us or Berthoud Public Library at 970-532-2757. Costs for research vary based on complexity. Our Society has volunteers willing to take digital photographs of headstones in the Fort Collins area. That includes Grandview, Roselawn, and Resthaven Cemeteries. There may be anominal cost to have the images emailed to you. However, the local DAR socieites have taken many headstone photos and posted them on Find A Grave Website or Billion Graves Website. These websites include cemeteries in every state and county. If you need basic research outside Larimer County, please contact the genelaogy society for that county or specialized society by selecting Area Societies and Organizations. Many of these societies have their own researchers willing to help genelaogists locate records. Some societies may charge a nominal fee or you may ve required to join their society for free research help. This is only a partial list of genelaogy societies. For a complete list of genealogical societes in Colorado, please visit Colorado Council of Genealogical Societies Member List for most of the societies located in Colorado. If you are looking for vounteer help outisde of Larimer County, there are two major volunteer sources: Random Acts of Genealogical Kindness (recently revived in 2014) and USGenWeb websites. For either website, select the preferred region by country, state, and county that you need research. Most volunteer services may be free, but many do charge nominal fees for driving time and collecting your records at any research facility. For more complex genealogy research help, please contact a professional researcher. There is a local Colorado Chapter of Professional Genealogists, who can help you depending on your research requirements. This is a fee based service. 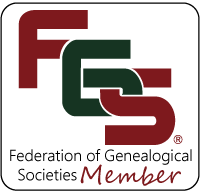 Please see their member directory of professional genealogists and their specialized field at their APG Colorado Chapter Website. Or contact the main body of professional genealogists at Assn of Professional Genealogists for professional help outside of Colorado. Another source is Ancestry’s Professional Genealogy Services. These are fee based services and all are experienced professionals with certificaiton or five years or more of genealogy and family history research experience. Note: Be sure to ask any professional for a written quote of your detailed research requests.